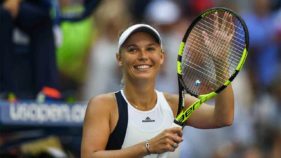 Caroline Wozniacki said she was fulfilling her childhood dreams after she won a 30th WTA singles title with victory over Latvia's Anastasija Sevastova in the China Open final on Sunday. 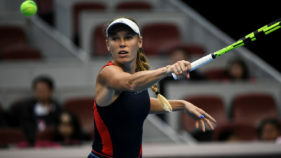 Denmark’s Caroline Wozniacki defeated Croatian Petra Martic 7/5; 6/3 to advance to the quarterfinals of the on-going China Open tennis championship holding in Beijing.The world's number two and tournament’s second seeded player remains the favourite after world number one Simona Halep retired in the first round on account of a back injury. 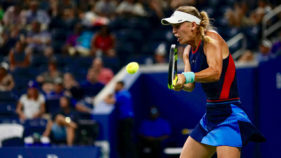 The US Open is without its top two women’s seeds heading into the third round after Australian Open champion, Caroline Wozniacki, joined Simona Halep in making a shock early exit. 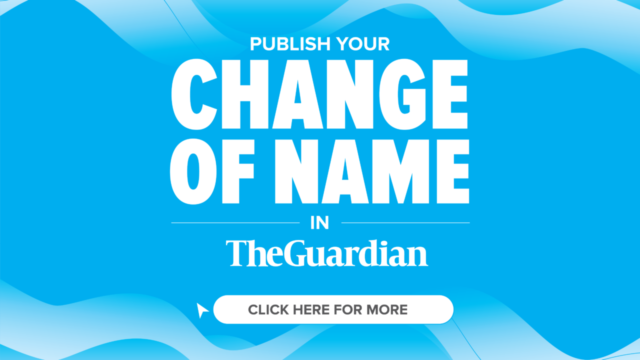 Russian Daria Kasatkina, who has beaten all four reigning Grand Slam champions in the past year, upset world No. 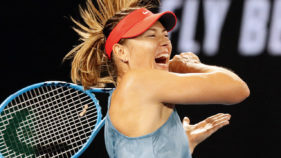 2 Caroline Wozniacki 6-4, 7-5 at the WTA Indian Wells event on Tuesday. Caroline Wozniacki of Denmark outlasted Simona Halep 7/6 (2); 3/6; 6/4 to win her first Grand Slam title. 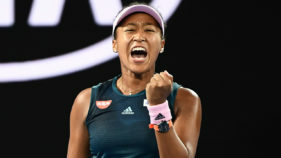 Former world number Caroline Wozniacki ended her career-long jinx against Venus Williams in spectacular style to lift the WTA Finals trophy for the first time on Sunday. Ageless Venus Williams continued her remarkable renaissance with a three-set semi-final victory over Caroline Garcia to set up a mouthwatering WTA Finals decider with in-form Caroline Wozniacki.